An animator’s ability to translate the physiological and psychological underpinnings of human communication into their characters, has created a highly specialised set of skills that provide a basic outline for producing the illusion of life and personality in an embodied medium. This research explores animation’s potential to build personality in social robots in order to help users to predict and interpret the behaviour of a robot whilst increasing user engagement. It looks to specific case studies to test and refine the transference and relevance of animation principles to robotics. This research utilities music and non-verbal sounds, in order to design acoustic communication cues that provide alternatives and also augment TTS methods of communication between robots and humans. These aural cues are designed with an emphasis on para linguistic elements such as tone, pitch, rhythm, timbre, loudness, and inflection to maximize interaction and effectiveness of communication, as well as increase personality potential in social robots. A range of aural non-verbal communication cues are currently being designed and tested to understand how they can help guide human to robot interaction. When communicating with others almost half of our visual attention is placed on the eyes. The eyes are the most crucial component in expressing an individual’s emotional and mental state. Eye gestures such as; eye gaze, pupillary response and blinking can indicate specific emotional states such as; the indication to act, inner thought processes, mood and attention. 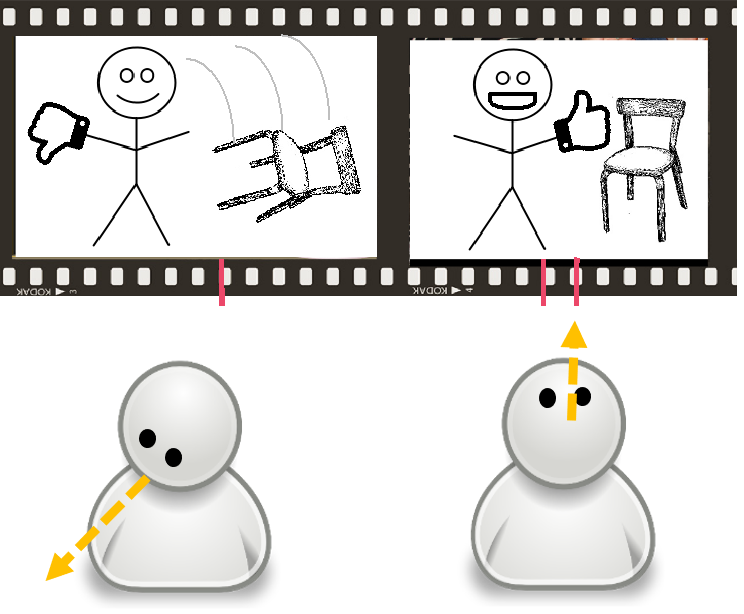 Understanding the use of eye gestures during social interactions is crucial to the success of a social robot’s communicative capabilities. This research utilities animation and design expertise to develop, implement and test a range of eye gestures for effective robot to human communication. By simply moving within a given space, humans continuously and automatically inform one another about their intentions, interests and feelings. Well-designed gestural cues for robots based on an understanding of the connection between emotional signalling and body posture can help humans to read a robot’s intent. They can allow a user to anticipate or immediately detect scenarios such as, when a robot is confused with a command, is waiting on information, confirming an action or happy with an outcome - without the need for explicit verbal confirmation. This research investigates, implements and tests a range of gestural cues as a key element of improving a user’s ability to read a robot’s intent and understanding. As humans we each have our own individualistic preferences, therefore the possibility of customization should be considered for social robotics. 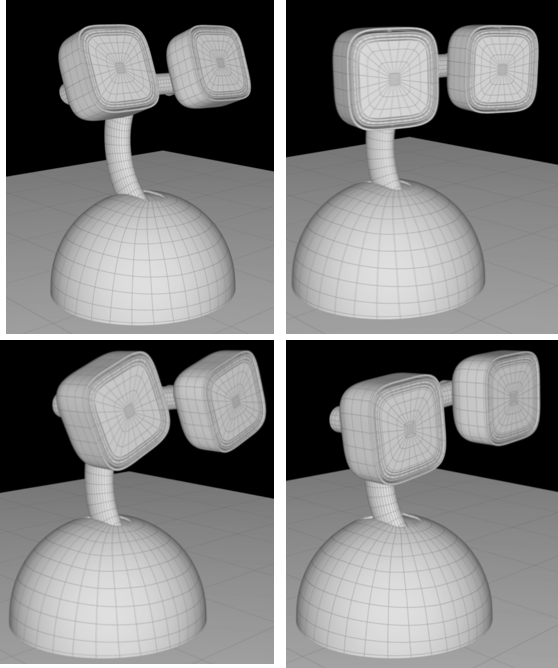 Although significant customization of individual robots may be feasibly difficult to achieve due to technology and economic constraints, minor customization techniques, such as the ability to change features such as eye color, eye shape, surface material features, emotional range and vocalization will be explored and tested in this study as elements of customization that have the potential to increase human engagement with social robots. Social robotics systems are trans-formative technologies with the potential for both positive and disruptive transformation of our social relations. Speculative Design, Critical Design and Design Fictions are powerful tools for creating a dialogue around the types of social robotic futures we might wish to inhabit. Key to this is the capacity, which these forms of design practice and theory have for proposing ideas and artifacts that might at first seem absurd or fanciful, yet have the potential to pose important technological, sociological and philosophical questions in a public arena. This research works with these critically oriented research practices to propose speculative artifacts, systems and practices for social robotics.